London: World oil consumption will grow less quickly than expected this year and next, the International Energy Agency (IEA) said on Wednesday, as the pace of economic growth slows. Demand will expand by 1.25 million barrels per day (bpd) next year, the Paris-based adviser to 28 industrialized countries said in a monthly report, 160,000 bpd less than previously expected. “If we are in double-dip territory, which is not our base case, we would be looking at much weaker demand growth." The IEA is the second closely watched oil forecaster to downgrade its global demand outlook this week, following a reduction by the Organization of the Petroleum Exporting Countries on Tuesday. Both agencies now have a similar outlook for next year. 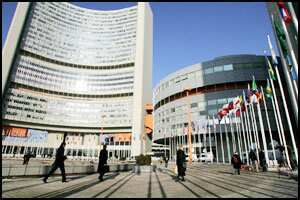 Opec in a monthly report on Tuesday reduced its oil demand growth forecast for 2012 by 70,000 bpd to 1.19 million bpd. The last of this month’s trio of oil forecasts from government agencies, the US Energy Information Administration’s report, is due for release later on Wednesday. Oil was trading around $111 a barrel on Wednesday, having recovered from an initial move lower after the release of the IEA report at 01:30 pm. Prices are down around $16 from their 2011 high reached in April partly on concern over Europe’s sovereign debt crisis and slowing global growth. The IEA’s report incorporates updated economic assumptions from the International Monetary Fund’s World Economic Outlook released in September. Lower-than-expected oil demand figures for July and August in the Middle East, Asia and Latin America, as well as the reduced GDP assumption, underpinned the cut in demand, the IEA said. Stronger-than-expected figures from the developed countries of the Organization for Economic Cooperation and Development (OECD), mainly Europe and the Pacific region, provided offsetting support. Oil demand in Europe rose by 0.3% in August, the IEA said, although this was not expected to change the region’s downward trend in consumption patterns. Some of the increase may have been due to consumers filling their heating oil tanks before winter. “European oil demand is still expected to contract in 2011 and 2012, even though recent data points have been slightly stronger than expected," Fyfe said.